The photographs in this gallery are either exclusive contributions from the photographers or appear with the permission of the copyright holders. They may not be duplicated, reproduced, televised or stored for later retrieval in print or electronic format, in whole or in part, without the written permission of the copyright holders. Where contact details of the photographers or copyright holders are not indicated next to the photograph, you should request them from the CITES Secretariat. Any use of material from the CITES Photo Gallery must be credited as required by the copyright holder, for example: "© Peter Dollinger/CITES Photo Gallery". If you are using the photos for your own website, a link back to the CITES Photo Gallery (http://www.cites.org/gallery) is required. The CITES Secretariat would like to express its special thanks to Dr Peter Dollinger, who is the main contributor of the photographs of species in this gallery. He worked in the CITES Management Authority of Switzerland for 27 years and was Chairman of the CITES Identification Manual Committee for four years. As the legal custodian of the logo, the CITES Secretariat authorizes all national CITES authorities to use the CITES logo for official purposes and actively encourages its use, particularly in communication material (websites, leaflets, posters, etc.). CITES authorities may request a high-resolution version of the logo, suitable for printing, from the Secretariat. For other uses, they should consult with the Secretariat. The Secretariat authorizes use of the logo for non-commercial purposes only and on a case-by-case basis. It checks the context in which the logo is planned for use for any factual mistake or misrepresentation of the Convention. The Secretariat also looks at the proposed lay-out to ensure that it leaves no ambiguity as to the author or origin of the document where the logo would appear. Use of the logo is free of charge, but the Secretariat does not grant standing authorizations and any new use must be the subject of a new request. Finally, the Secretariat retains the right to rescind its authorization at any time. Requests to use the CITES logo must be sent to the CITES Secretariat (to the Programme and Documentation Officer) with a detailed explanation of where and how the logo would be used. For example, if the logo is required to illustrate an article, the article should be provided with the request. If the Secretariat finds no problem with the intended use, it then consults with the CITES Management Authority of the country where the requester is based before giving its authorization. 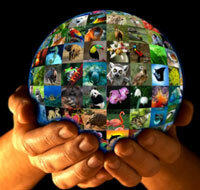 Use of the logo by intergovernmental organizations or in websites as a simple link to the CITES website is granted at the discretion of the CITES Secretariat.